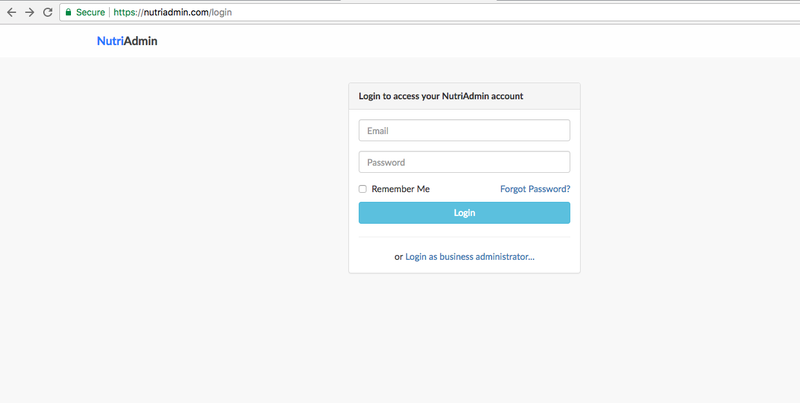 This article discusses what to do when you are having trouble login in to your NutriAdmin account. You are in the correct login page. 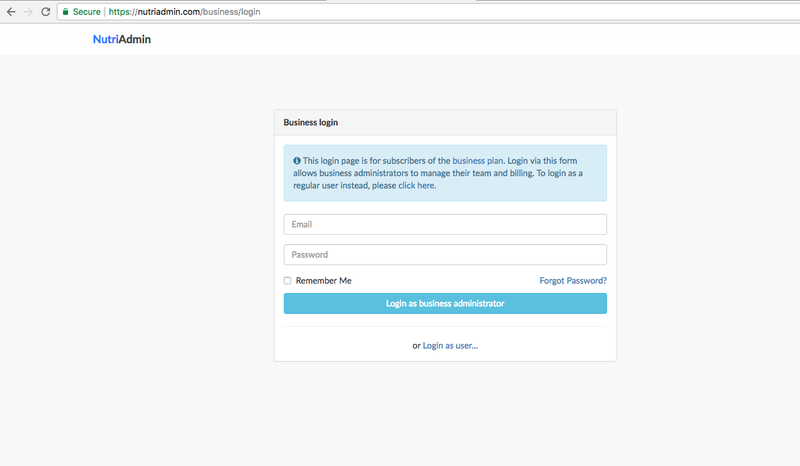 There is a separate login page for regular users and for business plan subscribers as mentioned above. 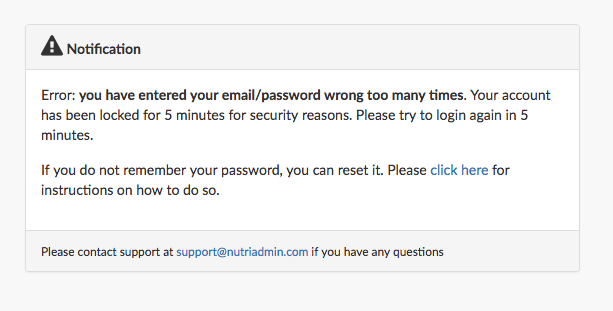 If you try to login but enter your email/password incorrectly too many times in a row, NutriAdmin will automatically lock your account for 5 minutes for security reasons. You will be redirected to an error page as shown below. If you wait five minutes, you will be able to attempt to login again. Please make sure you are entering the right password and email. Whilst you wait, you can check your email account(s) to confirm you are trying to login with the right email address. One of the most common problems with login errors happens with users that have multiple email addresses. Perhaps you have created a NutriAdmin account with one of your emails, but then you are trying to login with a second email without realizing it. If you are able to find messages from NutriAdmin in your inbox, then you will be certain you are using the correct email for login. If you are still unable to login, you can click on the Forgot Password link in the login page. This will enable you to enter your email address and to receive instructions on how to reset your password. If you request a password reset and you are unable to receive the password reset link, please ensure you check your spam folder. If you haven't received any emails within 5–10 minutes, then please contact support@nutriadmin.com for help. The most likely cause for someone not being able to login after trying all the options listed in this article is that there is a typo in the email used when you registered your nutriadmin account. If this is the case – or for anything else, we can help you at support@nutriadmin.com. Can clients login to see their own data via a portal? Can more than one person work with the same NutriAdmin account using the same login?